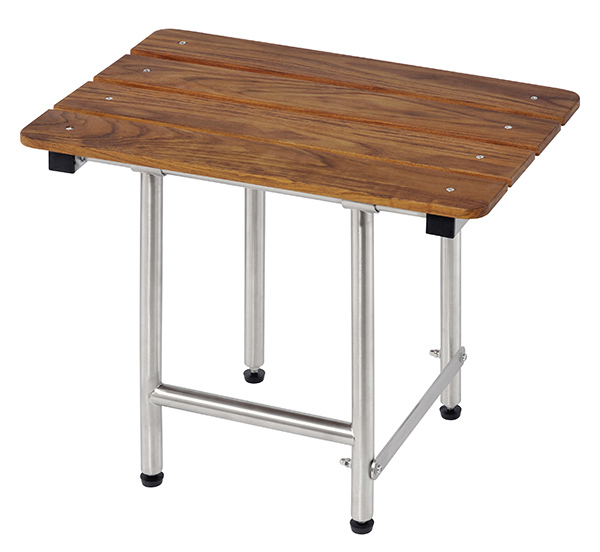 Elegant & spa-like, environmentally correct, durable, and less maintenance than most other teak our Seaport Teak Seat features stainless steel legs that swing up out of the way when not in use. The Seaport Seat safely supports up to 750 pounds and is easy to install. It is the perfect complement to our Signature Series Horizon teak bar.